Obituary for Abdul A. Ford-Bey | Devlin-Rosmos-Kepp F.H. & C. S.
Abdul A. Ford-Bey, 70, lifelong resident of Phoenixville, died on Monday evening, July 23, 2018 at Manor Care in Pottstown, PA.
Born in Phoenixville, PA on October 3, 1947 he was the son of the late James D. and Julia (Travis-Bey) Ford-Bey. He graduated from Phoenixville Area High School and served in the Army during the Vietnam War. He was a member of Sid-Jul Mosque. Abdul was active in the Phoenixville Marion Youth Club football, field hockey and basketball as well as Phoenixville Youth Babe Ruth League baseball and softball for many years. He was a coach, basketball official, public address announcer and scorekeeper during his many years of involvement with Phoenixville athletics. He also assisted regularly on the chain crew during football games. 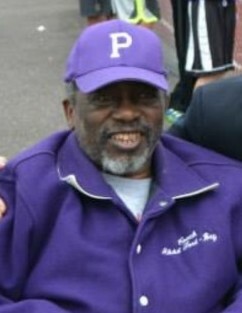 Abdul was regularly seen at all Phoenixville sporting events, even when he was not officially working. He was also a faithful spectator for the Phantom teams. He has witnessed the growth of thousands of athletes in Phoenixville as they matured into young men and women. They started in the youth leagues and then developed at the higher levels in middle school and senior high school with the Phantoms. He was there for all of them as the children had their initial experiences learning the lessons about playing some team sports. He became close to many of them through their parents and other family members. Clara A. Bey-Thornton wife of William Thornton. Host of nieces and nephews, cousins and friends especially his adopted brother Rick Martin, Christine Sheeler, Mary Buckwalter and Nathan Moffat. James Ford-Bey, III, John Richard Ford-Bey, Sr., Donald Ford-Bey, Sr., Clarence Ford-Bey, Sr., Dorothy Julia Ford-Bey, Josie Lee Ford-Bey, and Olene Ford-Bey. Relatives and friends are invited to attend his Funeral Service from the Devlin Rosmos Kepp and Gatcha Funeral Home, 517 S. Main Street, Phoenixville, PA on Friday, July 27, 2018 at 12:00 noon precisely. A viewing will be held in the funeral home Friday from 9:00 am to 12:00pm. In lieu of flowers contributions may be sent to Devlin Rosmos Kepp and Gatcha Funeral Home, 517 S. Main Street, Phoenixville, PA.